The Mirror dinghy was designed to be used with a small outboard, as well as oars, or sails. In the photo above the engine is a Seagull. 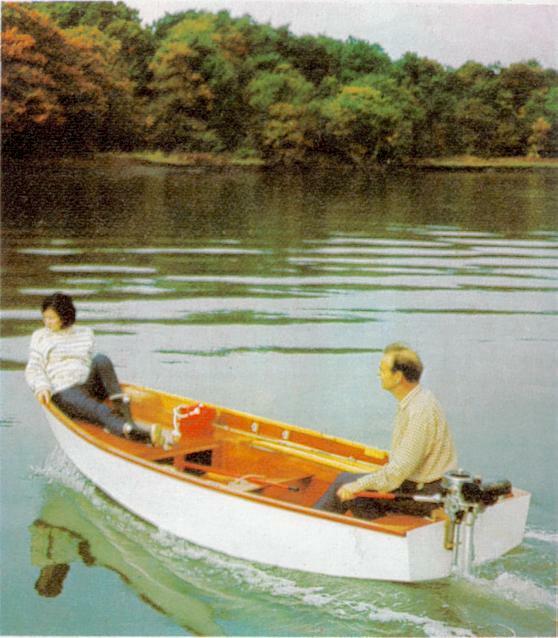 This photo from a Bell Woodworking leaflet from 1982 showing two outboards available as optional extras - a 2HP model weighing 10Kg and a 3.5HP model weighing 18Kg. So this gives you an idea of the typical size of engine suitable for a Mirror. 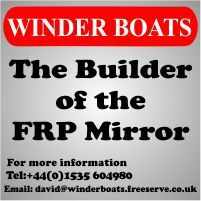 Trident-UK who are a licenced kit manufacturer and GRP builder and regularly supply Mirrors for cruising, normally fit a 2.3 or 2.6HP engine. The maximun size engine is not firmly established. 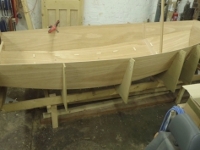 Trident-UK's view was that if the transom is in sound condition, fitting a 4HP would be OK. A set of posts on the MCA Forum here http://ukmirrorsailing.com/index.php?option=com_kunena&func=view&catid=2&id=9041&Itemid=274#9041 confirm the view that 4HP is the max power and weight engine that a Mirror will take. You need to bear in mind that engines are heavy, and the heavier and more powerful the engine, the more strain it will put on the transom. Also bear in mind that the thick part of the transom stops just below deck level, below that it is just 5mm ply with a central piece of wood inside for the rudder fittings. 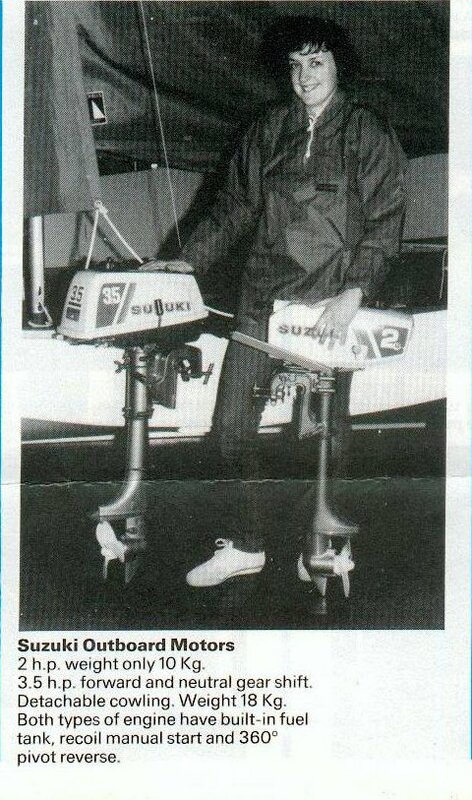 This MCA forum post about outboards by Kevin Shields has a lot of useful advise including how to strengthen the transom if you wanted to do that. Even with a small engine, a long outboard tiller, so you can sit well forward (i.e. on the thwart) to improve the weight distribution, is pretty essential. You would be well advised to have something to go in the daggerboard slot and stop water sloshing up. One boat at my club has what I can only describe as the top 150mm of a daggerboard (so just a bit of ply and two handles) and this works well. It's a good idea to glue some extra ply or similar on the inside and outside of the transom where the engine will go as the clamps will damage the paint /varnish/gelcoat otherwise.